Hand Forged and Folded AISI 1060 high Carbon steel blade. 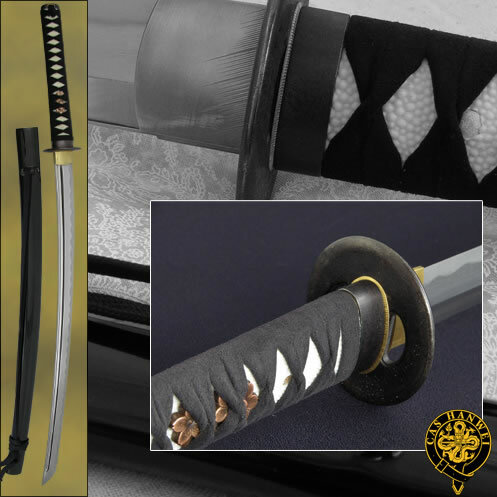 Made with the true and tested Japanese standards for forging. 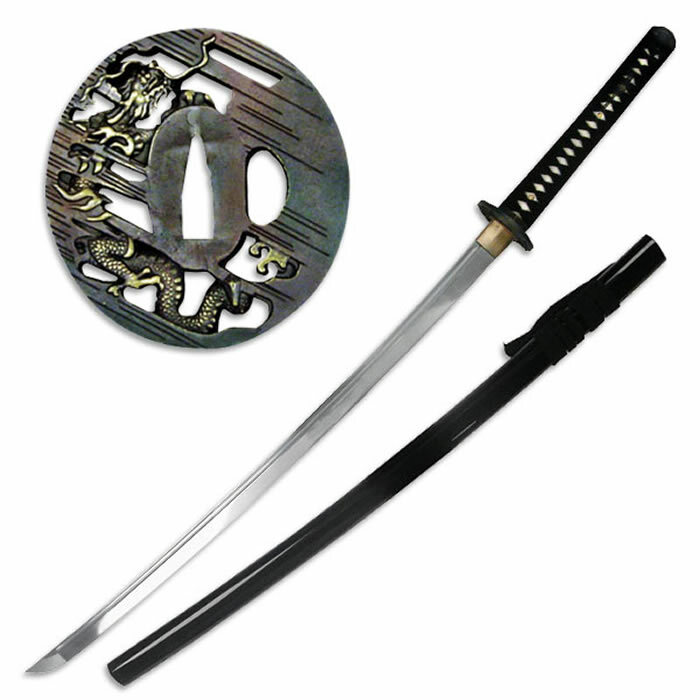 This battle ready sword is one of Ryumon’s quality swords. Live steel and vary sharp edge (ha). True tempering the traditional way using forging clay to keep the ha (edge) very hard and show an authentic hamon. 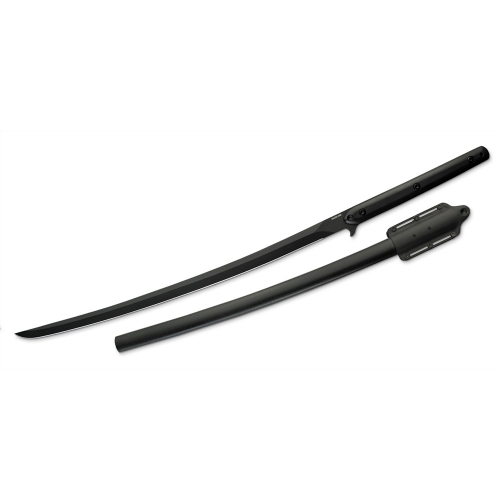 Features: Battle Ready Blade Material: Folded AISI 1060 high Carbon Steel. 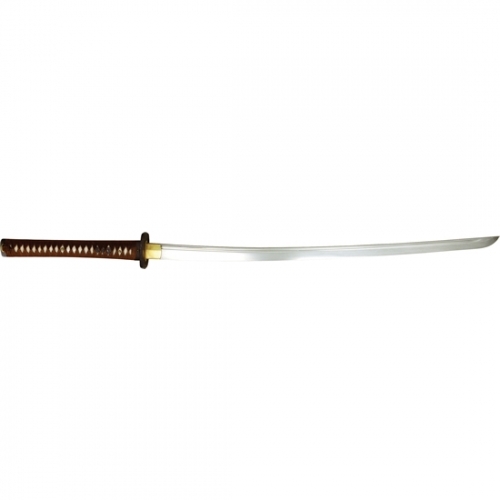 45 HRC Shinogi-ji and HRC 58 edge (ha) Tang: FULL with double pegged handle for safety. Iron tsuba and furniture. One piece blade collar (habaki). Handle Material: Hardwood with Authentic Ray Skin wrapped with quality Black Cotton Cord ito. Scabbard Material: High gloss lacquered hardwood scabbard with cotton sageo. Includes: Certificate of Authenticity. Satin Sword Bag. Collectors Hang Tag. Reference Guide. Includes Cleaning Kit.